Miss Hargreaves by Frank Baker. This could hardly have worked out better for me, could it? Promise I didn't cheat. 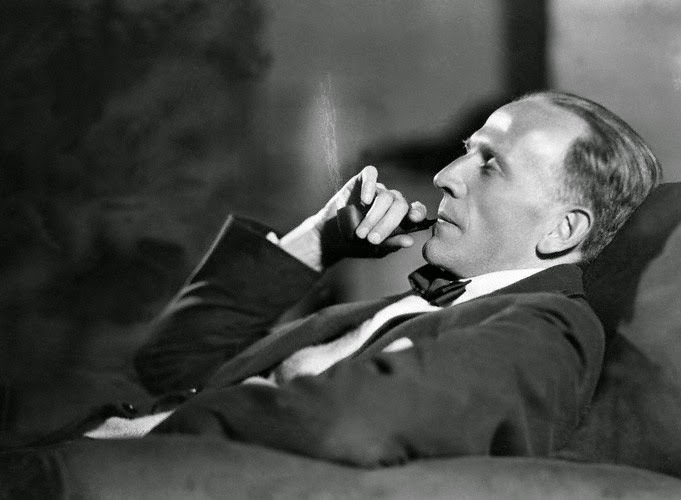 This is all a bit suspicious, since I've managed to have my favourite novel and favourite author, A.A. Milne. Well, I might quibble over AAM being definitely my favourite author, but there's no doubt that he's my favourite whose name begins with 'M'. Yes, Mrs. Miniver is madly over the top, but it's a classic for a reason. Mugs, you are the bearers of tea, so you are my favourite M-objects. ooh - I'd like to try this! Great, Katherine! Your letter is L.
Fab - C for you! Ha, love your choices, and of course I love the letter M :) This sounds fun, I'll try it. A good letter! Yours is close - N.
Good fun! I will try too. 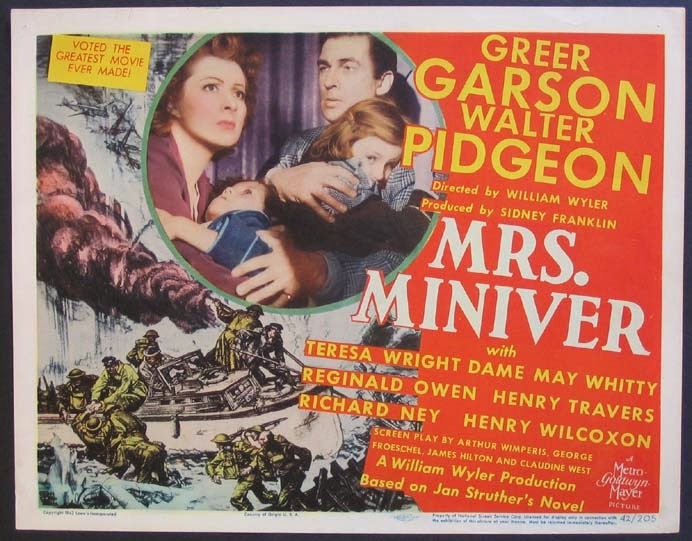 Completely get the Mrs. Miniver admiration too no matter what its faults. I've seen it so many times! I've never brought myself to watch the sequel though! Great! Your letter is G.
Very fun! My answers are here. I'll give it a try Simon - as long as my random letter isn't something like an X or a Z - I could be struggling then! Oo, you've come out with quite a tricky one, Claire - U. Have never done a Meme before, but like few things better than lists, so will Give It A Go, please! Lovely! And your letter is E.
Mission accomplished! Really enjoyed it, thank you. Fab! You've gone and got A.
Hm...also not so easy. Well, that's the luck of the draw! Certainly are! You've got K.
K was a lot harder than I thought it would be. Fun though! I'm safe! You got S (a fantastic letter, I'm sure you'll agree). Yes please! and what a fine selection of mugs. Your letter is P - enjoy! I like this idea - I'll have a go, but I don't want a tricky letter either!! Yes please! Assign me a letter! Can I have a letter too please. You certainly can - D.
Yes please I'd love a letter. Daniela says can she have a letter - but you might get an answer in Swiss! How nice! Daniela gets Y - I hope that works! Very innovative ! Though scared of getting a tough letter, I'm willing to give it a try ! :-) So let me know what I get ! Are there any letters left? If so, I'd love one too, please. I'm duplicating some, I think - but you have W! That is fun. I'll join in if there are letters left. Like your mugs, btw. I have a lot of the penguin ones as well. H for you! (I'm duplicating now, as it doesn't really matter.) And thanks! I only have those two, but rather covet others. If there are any letters left, I would love to try this! I'm having fun reading through everybody's responses. A tricky one for you - E! Yay! Actually, that didn't turn out to be as awfully difficult as I thought it would be. You've come out with 'I' - good luck! Favourite author: Josephine Tey - I find her writing calm, clear, contemplative, crisp, cunning … but since C is not my draw I will say tranquil, truthful, thinking, tailored, tricky …. Gosh, I forgot all about this! Favourite book would be 'The Stone Diaries' by Carol Shields, telling the life story of a Canadian woman from the perspective of those around her. Favourite author has to be JD Salinger. 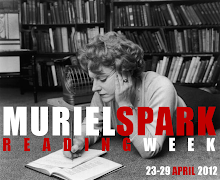 Although he's best known for 'Catcher in the Rye', I think his short story collection, 'For Esme with Love and Squalour', is even better. 'The Laughing Man' is both incredibly funny and terribly sad. Favourite song has to be something by the wonderful Gordon Lightfoot. 'Summer Side of Life' takes me back to being about 14! Favourite film is hard as I very rarely watch them, but I have twice seen, and enjoyed, 'Separate Tables' . Favourite thing is most definitely sewing paraphernalia. Second only to books is the joy of visiting a haberdasher's shop and coming out with more knitting wool and patchwork fabric. Just like books, I've gradually amassed far more than I shall ever use; and just like the joy of regarding your well-stocked bookshelf is the total enjoyment of sorting all those bits of cloth into colour order! But of course! You have B. That is fun - I am going to have to watch this! H if you'd like to join in! Oh dear - U for you! Oh dear indeed. It's night here but I won;t sleep a wink unless I do this. This is fun, I would like to join in please. Fab! Your letter is F.
I would love to have a letter so that I can play too. Can't argue with Milne--I grew up with his books and poems, as did my kids. 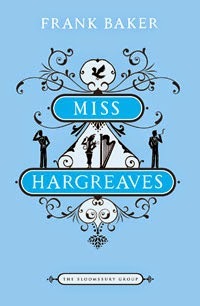 I'll be checking out Miss Hargreaves. Do go and find Miss Hargreaves, and let me know what you think! Oh wow, this looks fun! I'd like a letter too! I managed to miss this, not sure how - but I'd love to join in. Please assign me a letter! Thank you! Of course! You get R.
I want to play, too. Can I have a letter? Not too late! N for you. I got my B from Bellezza, who got hers from Frances, who got hers from you, so thank you, Simon! I'll have one too Simon and if I get through Moonstone in time for my book club I'll post up next week. Sounds like fun for a winter's afternoon here. So sorry Simon, but I got R from Dolce Bellezza. Got muddled. 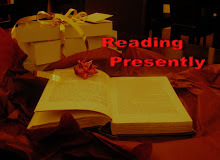 My post is now up though and I have given you full credit. It was a lot of fun. 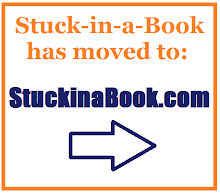 What a fun meme - and a great way to meet new to me bloggers! If you want to join in, you get... P! The letter R is not appearing as many of my true favorites. This didn't occur to me until you set the task. One doesn't realize. BOOKS: Rumpole of the Bailey and Right Ho, Jeeves! This sounds like a fun challenge! I'd love to try. If there's still time to join in...I'd love to have a letter. Sock it to me. Off to have a good think. Will report in soon.